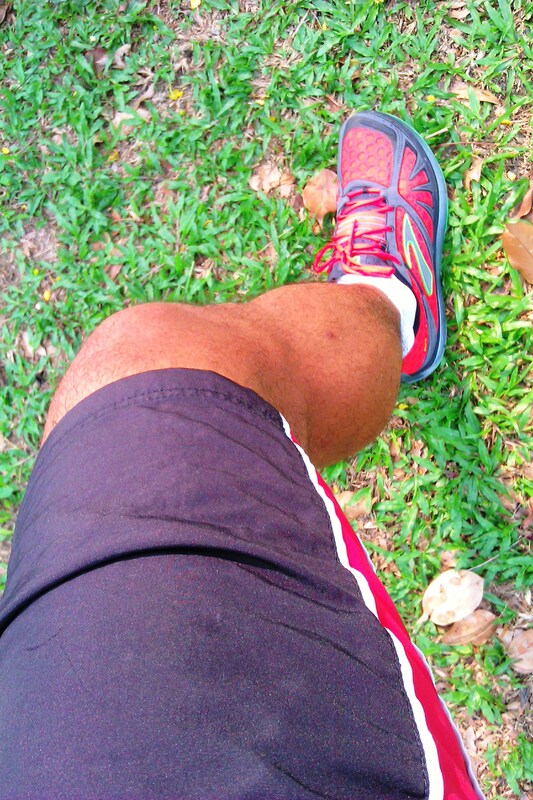 One of the perks of being an official blogger for BROOKS Malaysia is that I was given BROOKS latest Pure Grit trail shoe. 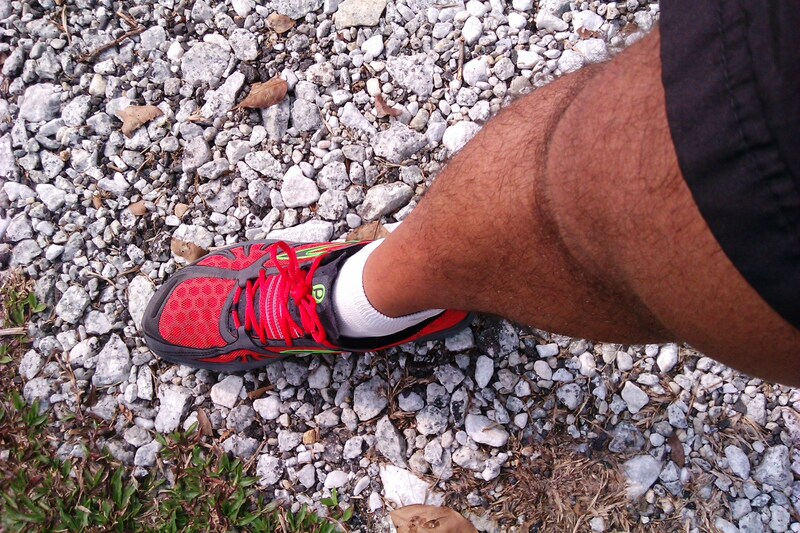 I am a big fan of trail running, and I have been wanting to run trail more but I guess what was really stopping me from running off-road more is not having a proper trail shoe. 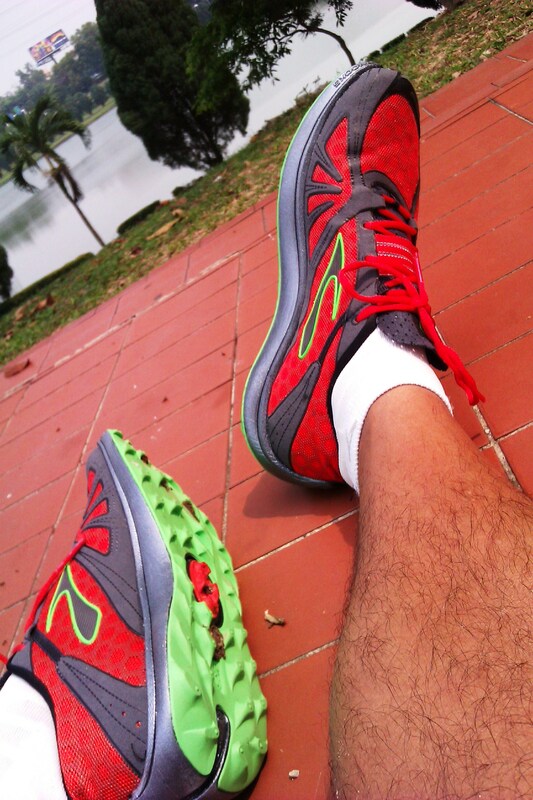 So, I accepted my first new BROOKS trail shoe with glee and anticipation. 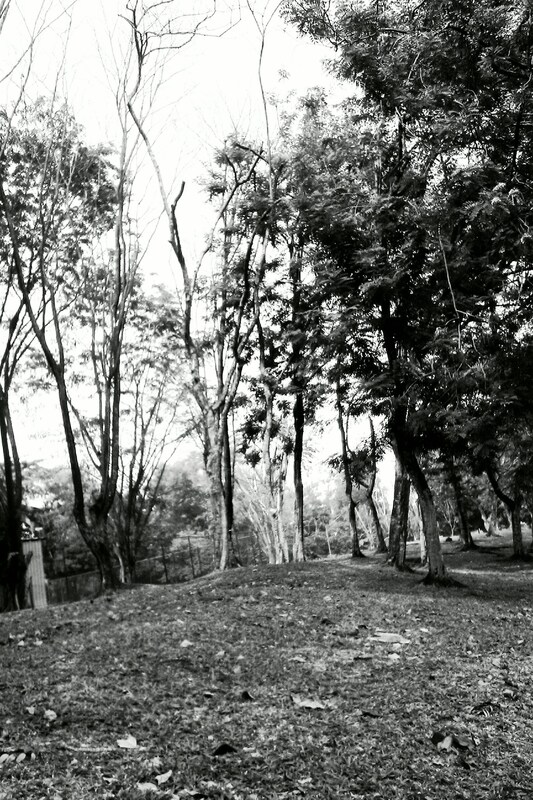 Images of me running wild in a dense and lush tropical jungle started flashing in my mind. 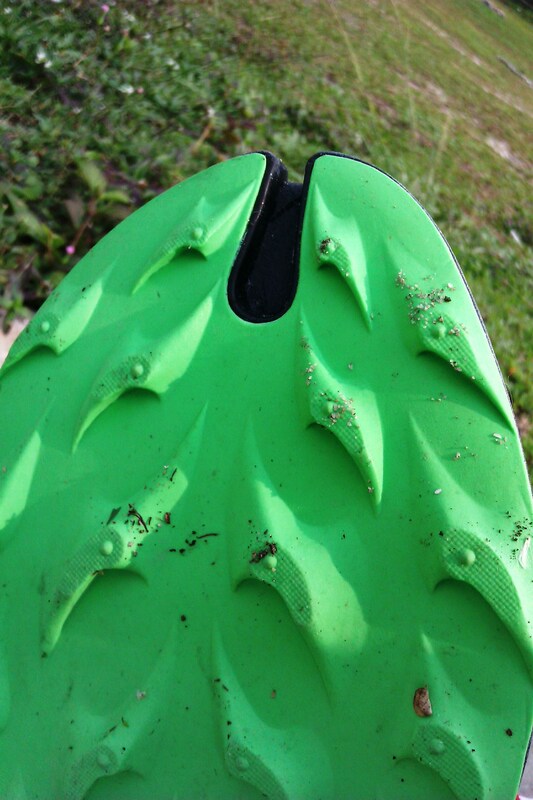 In reality, it was far easier for me to test-out or break-in my shoes at my local park first before exploring unknown tracks afar. 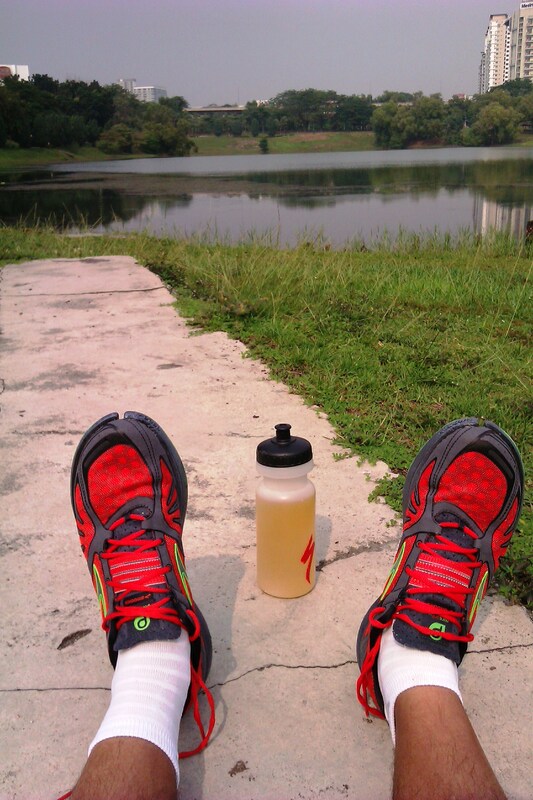 I wore my thinnest running socks, Drymax, and cycled to the nearby park armed with a bottle of electrolytes. In total, I ran 5km round the park, and I made sure I alternated between all the different types of terrain available – sandy, grassy, hilly, stony, and bitumen tracks. With every stride, I was making mental notes of how my ride was going, and in particular, I was paying close attention to the feel of the Pure Grit. 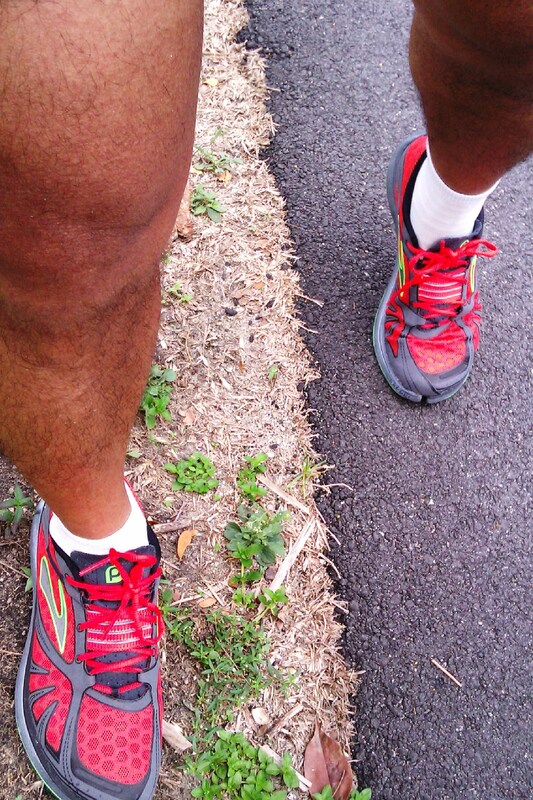 The toe-flex at the tip of the shoe is an ingenious design which helps the runner in two key ways. Firstly, it’s flexibility allows the runner to “grab-hold” of the uneven and constantly-changing ground for a better feel. Secondly, it ensures that the runner does not stub his toe against any hard objects such as rocks or tree roots because the flexibility allows the shoe toe to flex and soften any hard impacts. As for the shoe’s striking bright green under-sole grip, I could not test it’s worthiness as the ground conditions were dry. For that to happen, I would need to conduct another running test in wet conditions on a slippery slope for a proper evaluation. How is it possible that my ride was so smooth and effortless? The answer lies in BROOKS Smart Cushioning Technology called “DNA” (Click HEREfor an explanatory video) which allows the shoe to adjust to the different strides of each individual runner, giving the right measurements of both padding and protection. Furthermore, the DNA material is also very light which gives the shoe a minimalist-feel to it; perfect for those long exploration into rough jungle terrains or up and down steep hills. Another cool and important feature of the Pure Grit is the elastic band on top of the shoe, under the shoelaces. This band stabilises the runner’s feet and reduces any friction by preventing the feet to move sideways. This is particularly effective when the runner is running on s slope and one foot is higher than the other. and the band will prevent the feet from slipping laterally. (1) Wire-mesh material makes the shoe cooler, lighter and more flexible; adding comfort. (2) Curved heel design ensures comfort and protection for the runner’s heel and ankle. (4) Environmentally-friendly bio-degradable BROOKS patented shoe mid-sole and padding which degrades 20 times as other shoes in an active land-fill. Overall, what surprises me most about the Pure Grit is the amount of cool SMART features which BROOKS Research & Development has packed into the shoes for the comfort and protection of the runner. 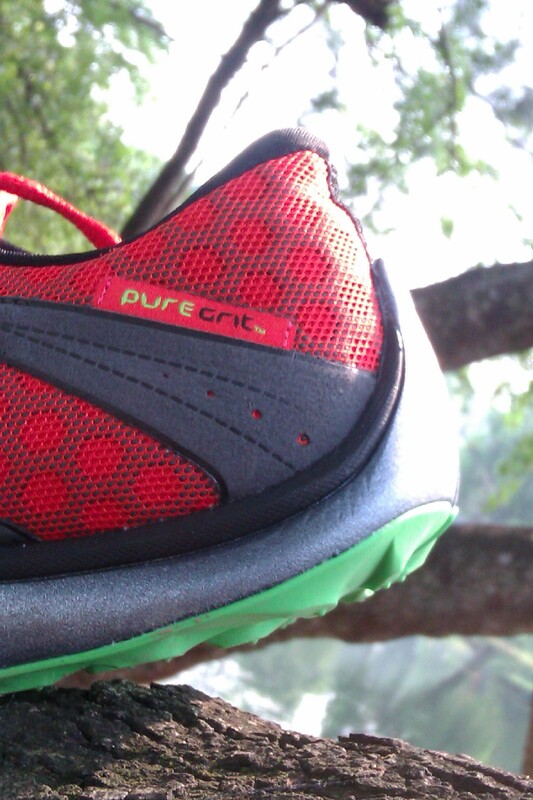 Without any reservations, I give two thumbs-up for the Pure Grit, and I just cannot wait to hit some of the real trails when its wet and slippery to test both the shoes further and my own trail running abilities. To follow my daily updates on Facebook, click HERE. 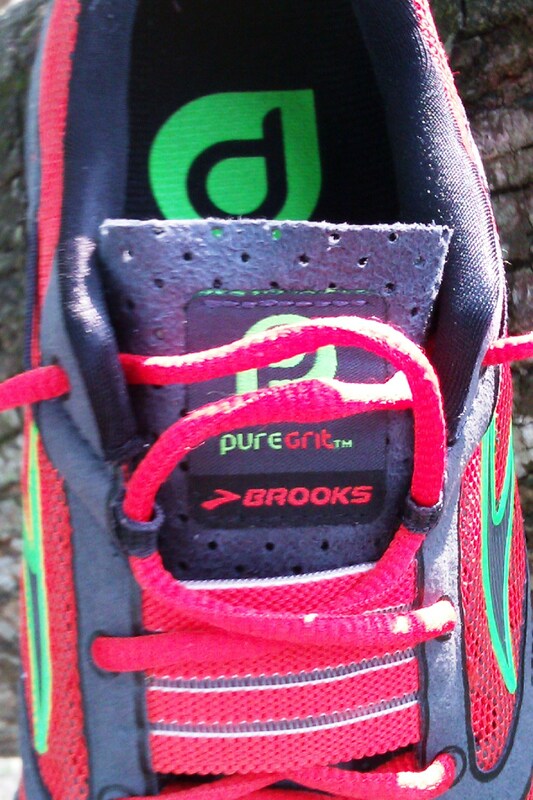 Go Green + Run Happy with BROOKS. 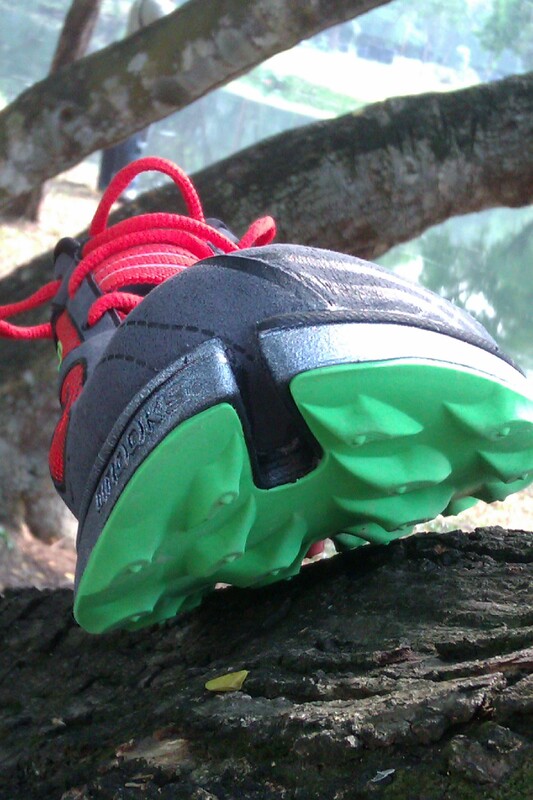 This entry was posted in Brooks, Footwear, Go Green, Happy Running, Running, Sports, Trail Run, Trail Running and tagged bitumen, different, feel, flexibility, grassy, green, grip, ground, happy, heel, hill, minimalist, off-road, protection, Pure Grit, rocky, runner, sandy, Shoes, slopes, sole, stabilises, terrain, toe-flex, uneven. Bookmark the permalink.